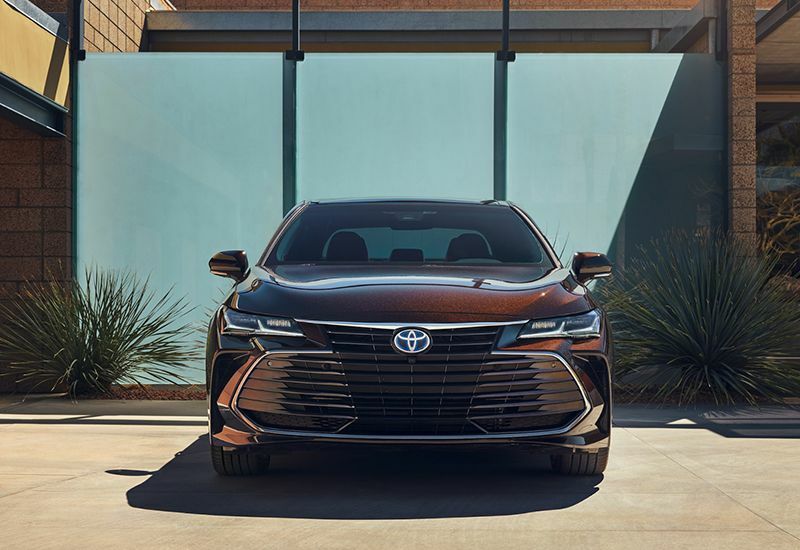 Redefining what it means to drive a flagship sedan offering an efficient hybrid powertrain, the 2019 Toyota Avalon Hybrid delivers superlative luxury, seductive styling, and sophisticated technology features. 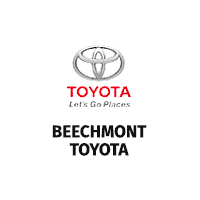 Experience up to 44 combined MPG** thanks to a Hybrid 2.5-Liter Dynamic Force 4-Cylinder Engine paired with electric motors for smooth, responsive power delivery. Safety is a core strength of the Avalon Hybrid, featuring a comprehensive suite of six advanced safety features helps keep you out of harm’s way. You’ll find plenty of refinement and comfort throughout the interior thanks to standard amenities like SofTex®-trimmed heated front seats, dual zone automatic climate control, and four USB 2.0 charge ports. Functional aerodynamics and sleek styling help you make a memorable entrance behind the wheel of the impressive Toyota Avalon Hybrid. Striking exterior elements also contribute to the exceptional fuel efficiency of the Avalon Hybrid. These include tangential vents on the side of the front bumper, available rear spoiler and diffuser, along with underbody panels which help reduce its coefficient of drag to just 0.27. 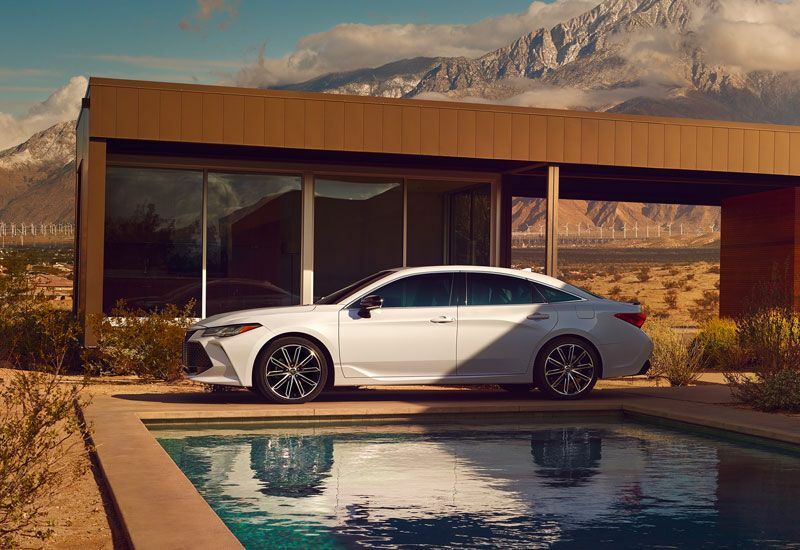 A compact battery, lightweight power control unit, and Sequential Shiftmatic™ gear changes help make it possible for the Avalon Hybrid to achieve 44 combined MPG**. Its newly developed 2.5-Liter Dynamic Force 4-Cylinder Engine delivers a total of 215 system horsepower. You’ll also have the ability to personalize your drive experience thanks to a 4-mode switch which features EV, ECO, Normal, and Sport settings. Maximize fuel economy in ECO mode, drive solely on the electric motors using EV mode, or select Sport for additional thrills on your commute. The Toyota Avalon Hybrid redefines what it means to drive a hybrid luxury sedan. 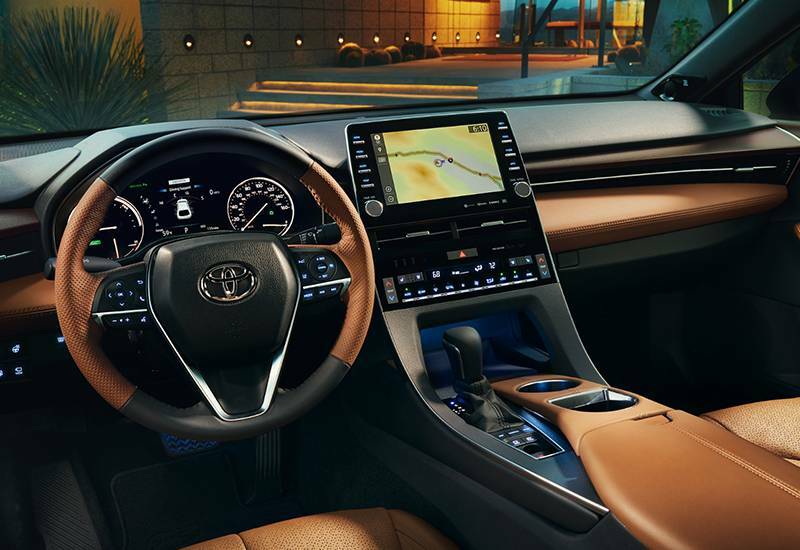 Take one step inside the luxurious cabin of the Toyota Avalon Hybrid and you’ll find yourself surrounded in refinement along with cutting-edge technology features. Premium authentic materials available inside the cabin include real wood trim, genuine aluminum, and available Cognac Leather-trimmed seating surfaces with authentic stitching. Engineers have reduced road noise for the quietest interior ever found on an Avalon Hybrid. A standard Entune™ 3.0 Audio Plus with App Suite offers Apple CarPlay® smartphone integration to bring the power of your compatible iPhone® along for the journey. Optional Qi-compatible wireless smartphone charging and four standard USB 2.0 charge ports ensures you’ll stay connected no matter how far from home you travel. A 7-inch TFT Multi-Information Display (MID) features customizable settings to help monitor key drive information. The standard Smart Key System eliminates the need to hunt around in your pocket or purse to locate a traditional key. 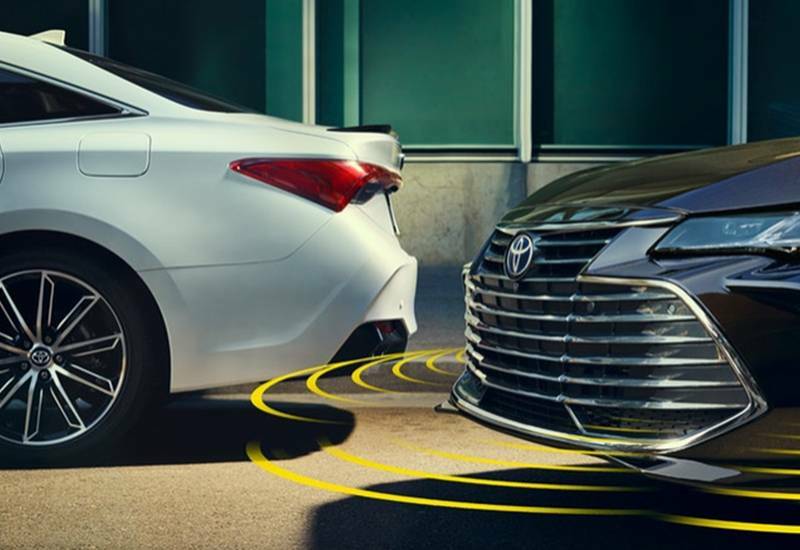 Prioritizing your safety on the road, the Avalon Hybrid adds peace of mind and confidence with its standard Toyota Safety Sense™ P (TSS-P). Included in this comprehensive suite of safety technologies are Full-Speed Range Dynamic Radar Cruise Control (DRCC), Automatic High Beams (AHB), Lane Departure Alert with Steering Assist (LDA w/SA), and a Pre-Collision System with Pedestrian Detection (PCS w/PD). Blind Spot Monitor (BSM) with Rear Cross-Traffic Alert (RCTA) also is included as standard on all Avalon Hybrid trim levels. Collision sensors automatically deactivate the battery in the event of an accident, reducing the chance of a high-voltage discharge. Ten standard airbags round out the safety amenities on the Toyota Avalon Hybrid.